What a trip! 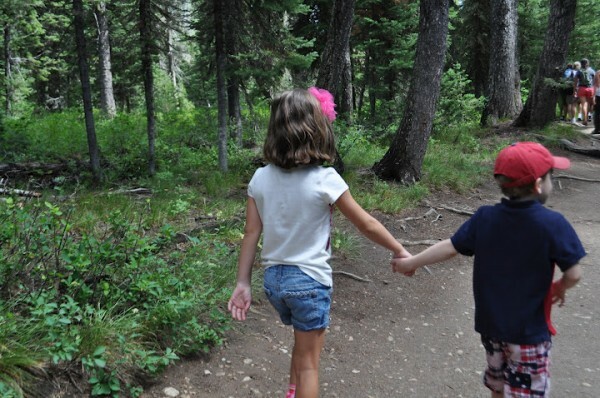 We just came home from Wyoming after an action packed vacation with Adventures by Disney. We packed in so much adventure into 4 days that I feel like my vacation was 10 days! We did it all. Really. Whatever you’d imagine a American western vacation to include, I bet we did it. And we topped it all off with the pixie dust thanks to Disney too. 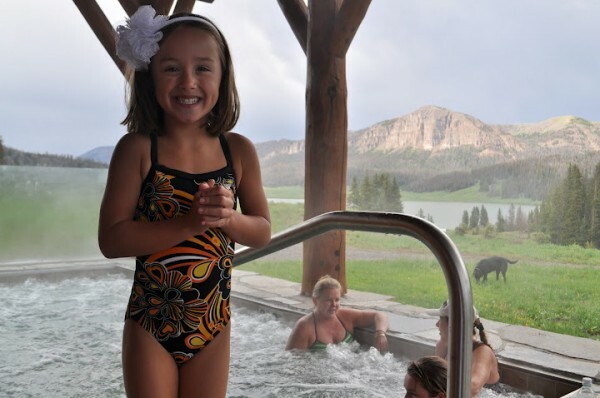 In a condensed 4 day press trip we sampled just about everything the American West of Wyoming had to offer families. 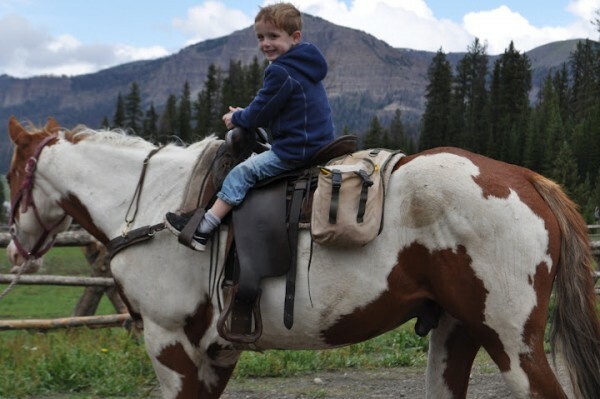 We went horseback riding on a ranch and white water rafting on the Snake River.We tried fly fishing and went hiking in the Grand Teton Mountains. 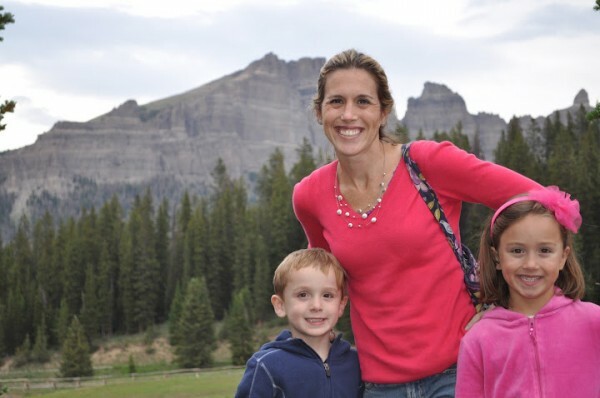 We toured Jackson Hole and had lunch with singing Cowboys and Cowgirls. We saw buffalo grazing and snapped photos of endless Mountains. And like any American family who makes the pilgrimage to Yellowstone National Park, we witnessed Old Faithful spout her water high into the sky. It’s hard to put all that memory making into words, so here’s our video wrap up to give people a real taste of our Adventures by Disney Quest for the West experience. 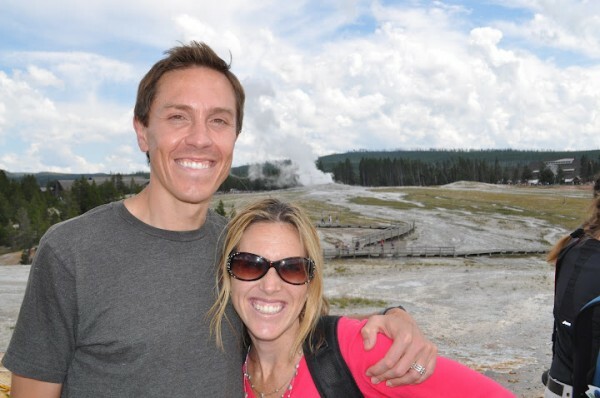 We’ve traveled pretty extensively for a young family, but I’ve never taken a guided vacation before, so in the past I’ve always had to do the legwork of planning, researching, and organizing logistics before any of our adventures – so I was anxious to experience the more luxurious angle of a guided Adventures by Disney packaged vacation for my entire family. 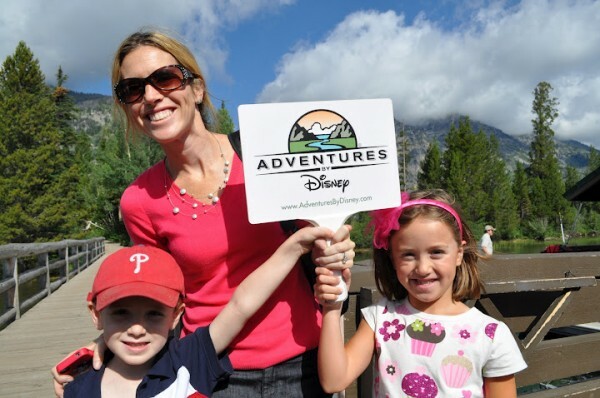 It was beyond awesome to have Adventures by Disney there to handle everything – from sending us an Adventures by Disney itinerary with backpacks for the whole family before the trip started to a greeting at the airport upon our arrival with a driver waiting to take us to our hotel room. And thanks to Disney, we never lifted a finger to carry a bag, never made a phone call to coordinate our itinerary and never needed to arrange transportation or accommodations.Our 2 Adventure Guides for our group of 27 travelers were ready for everything – bug spray, sunscreen, ponchos for everyone if it rained, water bottles to keep us hydrated, and they even had snacks to hand out multiple times a day – mid hike and on our tour bus. This removed all the stress that travel often induces in a MAJOR way. But it was really the Disney magic that made the vacation more extraordinary. 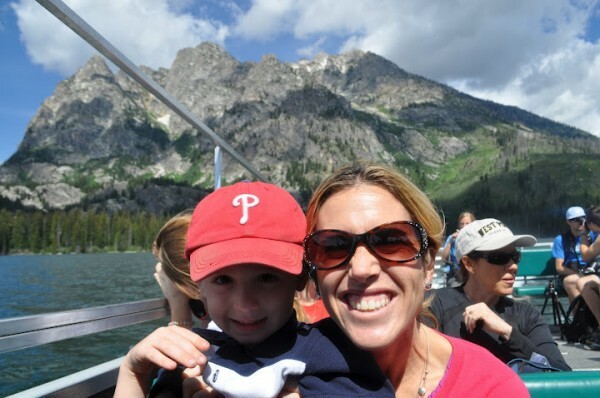 The scenery and destinations on our itinerary would have been gorgeous no matter what but it was the special touch of Disney that amped up the memory making. 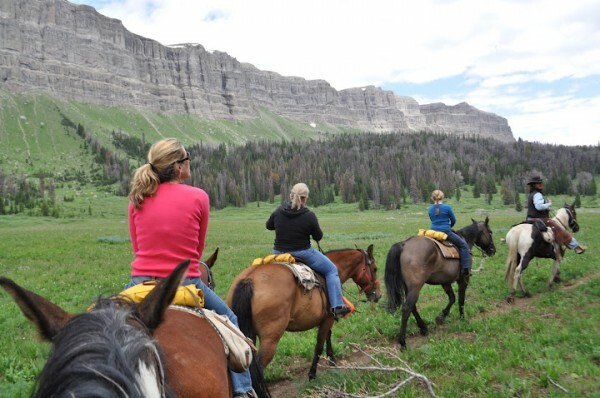 Arranging an incredible itinerary that included a stay at one of the most beautiful and remote ranches in the world. 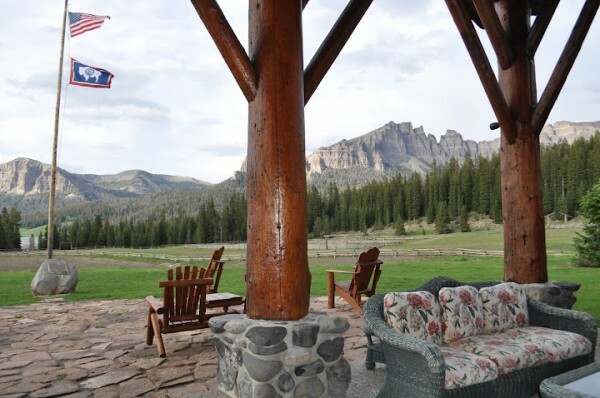 I don’t think I would have ever found the hidden gem that is Brooks Lake Lodge. Photos do not do it justice. There was even a hot tub at the spa with a view of these mountains. Unbelievably gorgeous! 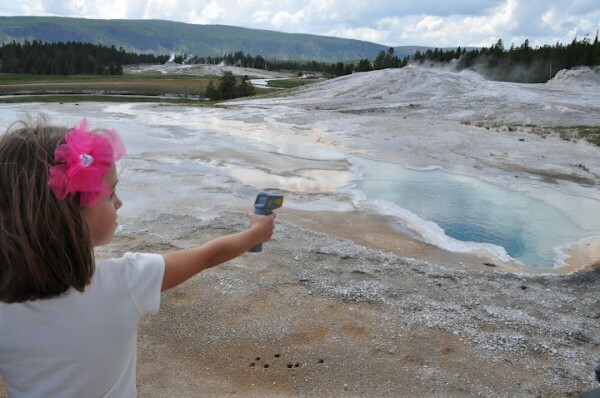 We didn’t just tour the geyser surrounding Old Faithful, the kids were all given Laser Thermometers to measure the heat and activity of all the hot pots, geysers, steam vents, and boiling springs. As you can imagine, this was a fabulous learning experience and equally engaging for all us adults too! And we always had our Guides ready to take photos of our families with their special “Disney” camera along with them willing to hold our own camera. Here we are with Old Faithful going off behind us! Group activities for the children led by our guides helped ignite instant friendships and tons of fun for Kenzie and Kyle too. Kenzie and Kyle loved being with a larger group of kids and what really “melted the ice” for them with the group, was the chance to eat at a “kid only” table on the evening the Guides reserve as their night to take care of the kids, so that parents can do their own thing. And of course, let’s not forget the adventures we all experienced . This trip wasn’t just about sight seeing but it was really about getting out there and experiencing it all. I’m an Adventurer and a traveler, but I’ve never been white water rafting or horseback riding. The experiences were incredible for all of us as the kids did all this stuff too! 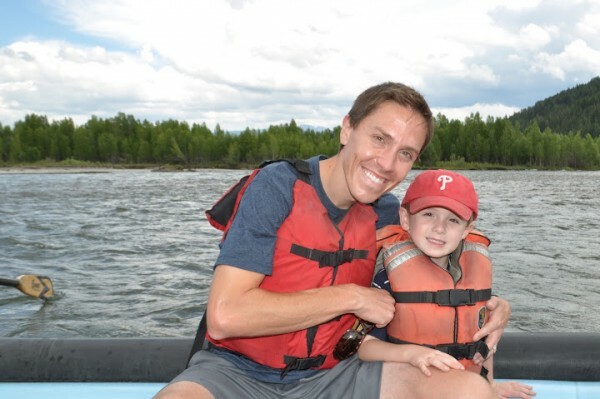 Yes, at times I profess I was somewhat terrified as to how my 6 yr old and I would fare on Class 3 rapids and I definitely had some white knuckles as I headed off into the wilderness on my horse named Slider for a 3 hour Mountain ride, but this adventurous Disney itinerary took me to new heights and I loved every second of it. Plus, I’ll definitely never forget any moment of the action either as I did it all with my family too. And it’s really the memories that are so important at the end of the day when the vacation is over and we’re all back in the office or at home running on repeat through our normal daily routines. So yes, I’m reporting that the “Disney Magic” extends far beyond the realm of the Magic Kingdom. Disney’s an entertainment company at heart and they know how to deliver an experience to thrill and touch your heart at the same time – whether your riding It’s a Small World or watching bubbling hot springs in Wyoming, Disney’s touch magically makes everything better, more remarkable, and certainly more memorable. An executive at Disney once told me that all we really have with our children is 18 summers. It’s that perspective that makes me want to relish every moment and maximize every adventure we can take together as a family. Life is short and the world is big so we’ve got a lot left to explore together. From Southeast Asia to Peru to Africa to Europe, I want to add each one of these Adventures by Disney itineraries to my bucket list. For all you pin collectors and Disney fans, every Adventures by Disney trip includes special Pin collecting galore with daily “Adventures by Disney Pins” unique to each specific itinerary. Every day all the guests got a new “Quest for the West” pin and of course my kids were crazy for this daily Disney memento – along with the chance to hold this styling sign for our group during our hike too! Disclosure: Thanks to Disney for hosting my family and I on a condensed press trip for their Quest for the West Itinerary. As always, all thoughts and opinions are our own. Colleen I LOVE the post, the pictures, the video and the entire view you’ve shared of Adventures by Disney and this amazing trip ~ thank you! Oh my, that looks, and sounds amazing! This looks like an amazing adventure! An Adventures by Disney trip is on my bucket list. I love all of your beautiful pictures – so glad you all had a fantastic trip! kids watched the entire video – they loved it. looked like you guys had a great time!